Sizzling early summer temperatures throughout much of the state have Coloradoans pining for the cooling coastal environs of Vancouver and Whistler in British Columbia, Canada. And thanks to ever-expanding flight access to the City of Glass, there is no better time for golfers to expand their sights to just beyond the 49th parallel. 1) Metro Vancouver is home to a litany of challenging public golf courses, including Westwood Plateau, Hazelmere, Mayfair Lakes, and Northview. Seventy-five miles south via the exquisite Sea-to-Sky Highway, the game takes on legend-worthy status at Whistler’s four premier courses: the Robert Trent Jones Jr.-designed Fairmont Chateau Whistler, Nicklaus North (Jack Nicklaus), Whistler Golf Club (Arnold Palmer/Ed Seay) and Big Sky (Bob Cupp). 2) Among the area’s more noteworthy attractions is Whistler-Blackcomb, lauded mountain host of the 2010 Olympic and Paralympic Winter Games and celebrated for its glacier skiing, mountain bike park, ziplining, hiking, luxury slope side resorts and European village ambiance. 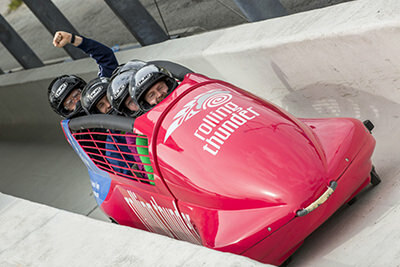 Thrill seekers can test their mettle on the open-year-round Whistler Sliding Centre, home to the fastest bobsleigh, luge and skeleton track in the world. 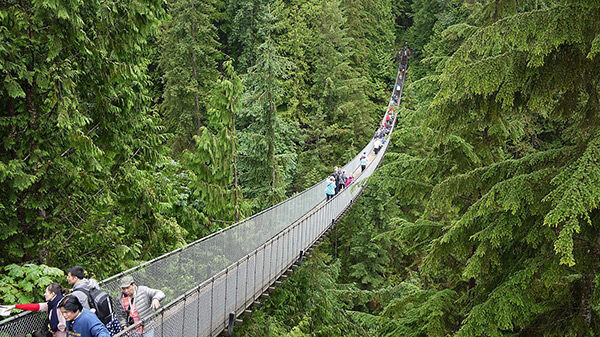 3) In North Vancouver is the heart-stopping Capilano Suspension Bridge. Since 1889 the double-cable bridge has spanned 230-feet-deep Capilano Canyon to offer unforgettable views — provided visitors take their attention off the swaying plank walkway — of a 27-acre rainforest park and a new series of cantilevered walkways that jut out from the granite cliffs. 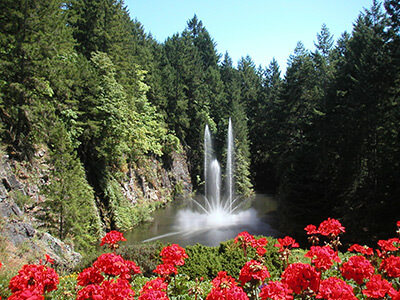 4) Stanley Park is among Vancouver’s greatest attractions, a 1,000-acre, seawall-encircled wilderness of gardens, lagoons, beaches, playgrounds, bike-and-hike trails, totem poles, statuary and miniature railway. After touring the national historic site via horse-drawn carriage, make time to visit the on-site Vancouver Aquarium, home to thousands of ocean species and wonderful aquatic life since 1956. 5) If the journey is as important as the destination, book a ferry to charming Victoria on the southern tip of Vancouver Island. The 90-minute boat ride gives travelers access to even more transformative sights and sounds, like the Fairmont Empress’ afternoon tea, Butchart Gardens, Craigdarroch Castle, a luscious variety of waterfront pubs and bistros and more amazing golf. 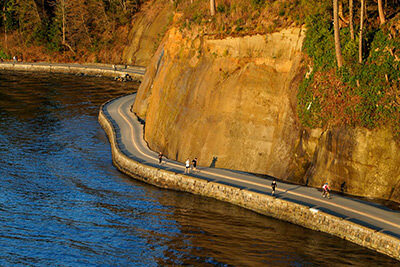 What are your favorite memories of Vancouver and Whistler? Share your comments below. This article appears in the June 2017 issue of Colorado AvidGolfer. Subscribe today!